Vitamin A, min ......................................... 2,000 IU/lb. 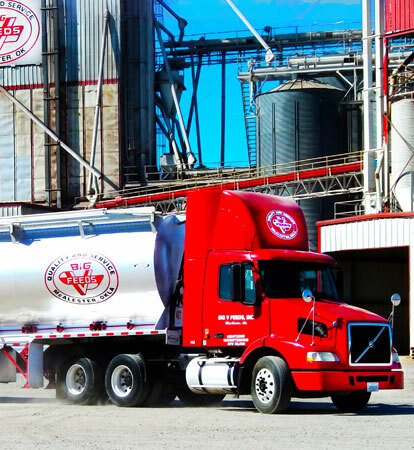 Vitamin E, min .............................................. 25 IU/lb. 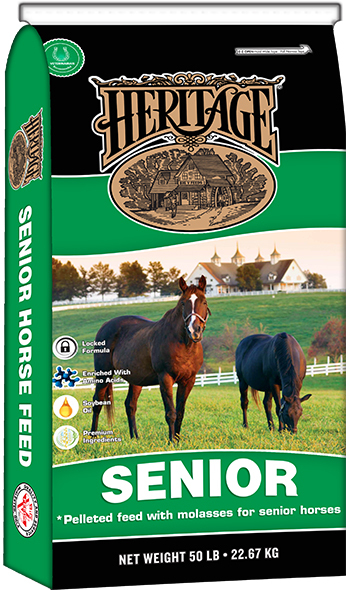 Feed horses at a regular time 7 to 8 lbs. per day. 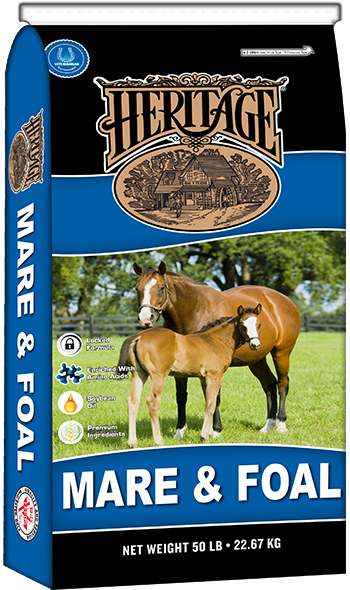 Working horses should be fed 1 to 2 hours before working and feed 1/3 of hay ration early and 2/3 balance after work. 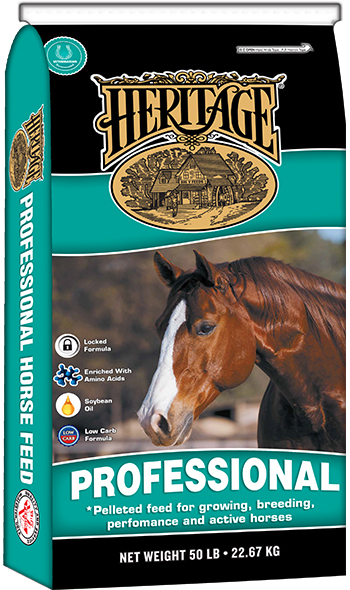 Horses should consume 1 to 1 1/2 lbs. of long roughage (hay) per 100 lbs. of body weight. 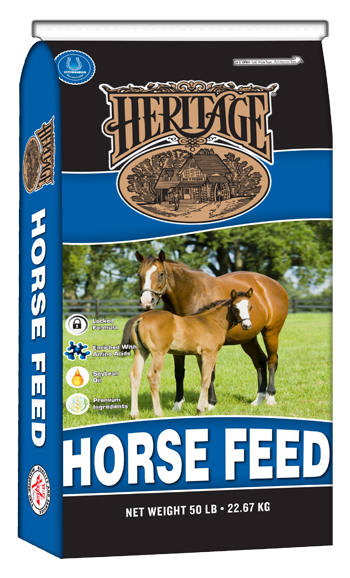 Feed broodmares twice daily, dividing ration. 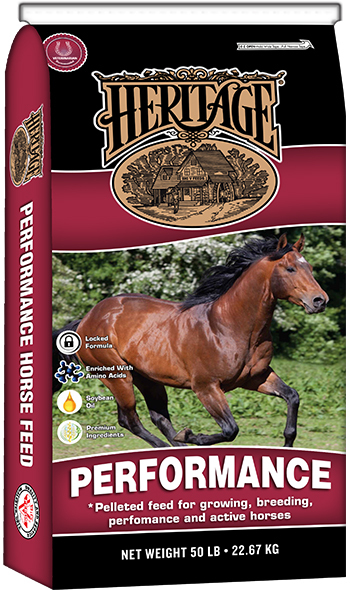 Feed racing horses 3 times daily, dividing ration. Warning: This product contains copper. Do not feed to sheep or any species with low tolerance to copper.